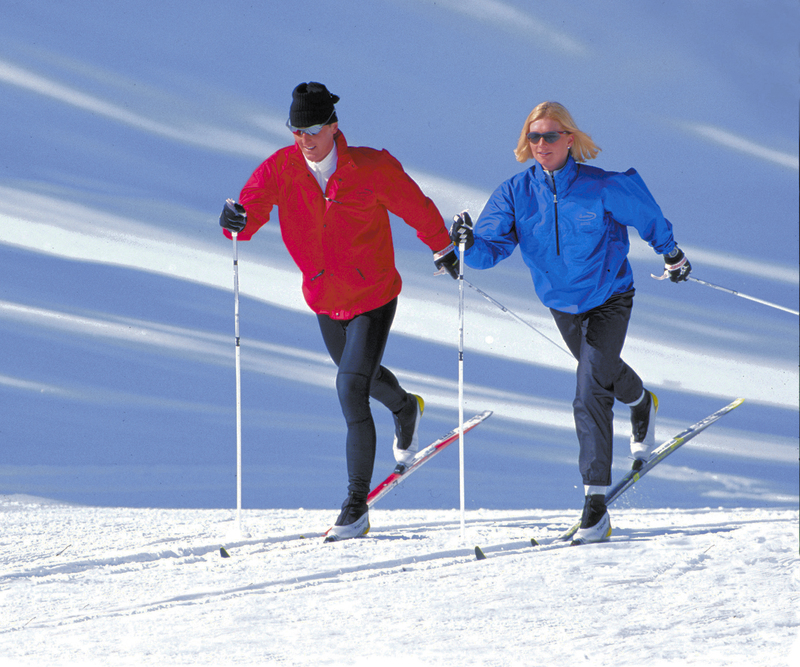 Winter is a great season to get out and try a new hobby or activity. It might take a little inspiration and motivation, some warmer clothes and maybe the thought of a nice hot cup of cocoa for the end of your day but once you have ventured out, you'll be glad you did. With Vancouver playing host to the Winter Olympics there is certainly no lack of places to get inspiration from. You might feel intimidated to try a new winter activity but look at it this way, snow is usually soft and makes a great cushion should you happen to fall or just want to stop, relax and cool off - which is the great thing about getting out and trying something new during the winter months... it usually warms up your body quickly. Take cross-country skiing for example, I had the fortunate opportunity to try it for the first time this past weekend at a resort in Muskoka; which was beautiful temperature wise I might add. Having never put on a pair of skis (cross-country or alpine) before, I was certainly a little intimidated however after starting out on a few practice trips up and down the groomed track I was ready to venture out on the full trail. 13.5 km later and I had improved on my form, gained some better balance and was less intimidated (although still walked my skis down the last hill which was lined with far too many trees for my skill level.) Did I fall...yes, but did I get hurt... no. Will I go cross-country skiing again? Yes definitely! Resorts around Ontario offer countless winter activities for you to try. For a complete list of winter resorts visit http://www.resorts-ontario.com//search/?e=AS&fs=AS, or for our downloadable Romancing the Snow guide click http://www.resorts-ontario.com//about/GE2010-winter.pdf. Come on up and Romance the snow, you'll be glad you did.